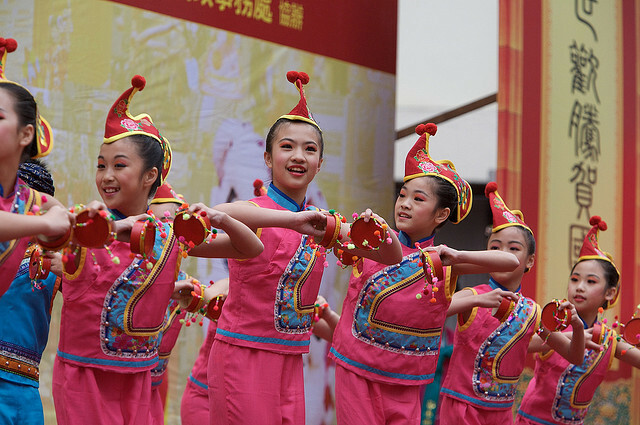 The Tai Kok Tsui Temple Fair is a full day of colorful celebrations dedicated to "Hung Shing", the God of the Sea revered back in the days by many of the fishermen in the Southern villages of China. 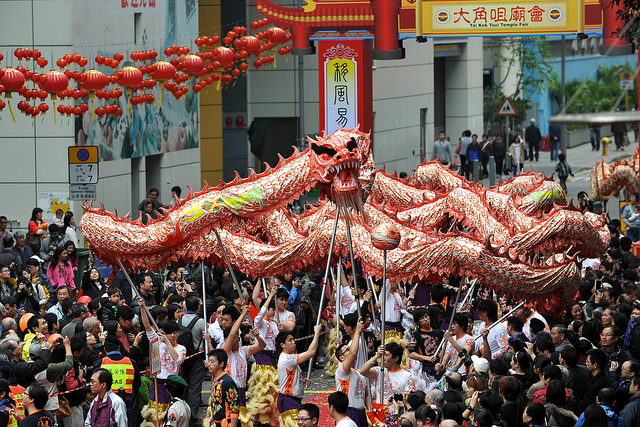 He was also known as the King of the South Seas, and legend has it, he passed away too early so the people decided to build a temple in his memory to worship his spirit and in turn, Hung Shing would keep bringing them luck and protection from the treacherous seas. 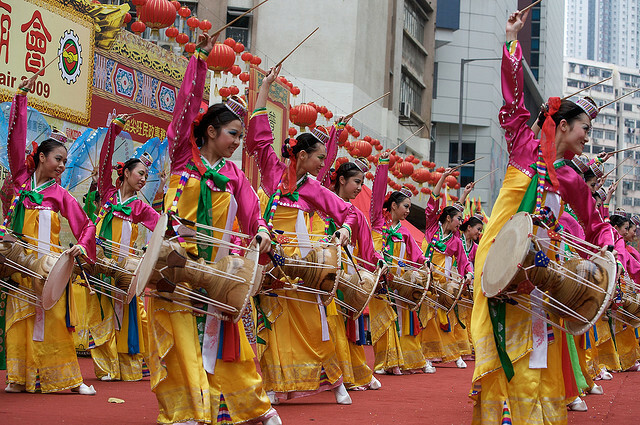 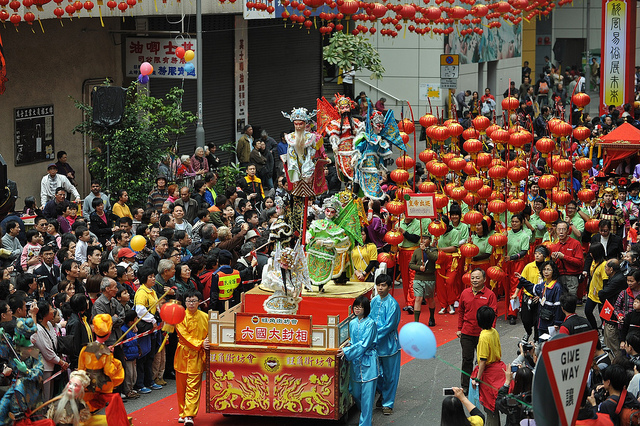 The original temple was located in Fuk Chuen Village, but later moved to its current location in Tai Kok Tsui in Mong Kok and every year, on the 13th day of the first lunar month, a big celebration to honor Hung Shing takes place and is truly a lively event worth checking out. 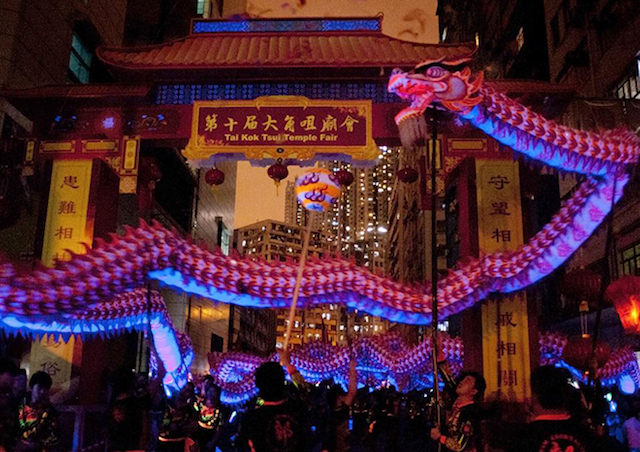 If you make it long enough at night you will be rewarded with a fantastic 500-feet Luminous Night Dragon that makes its way along the festive crowd and is the perfect ending to a fabulous festival. 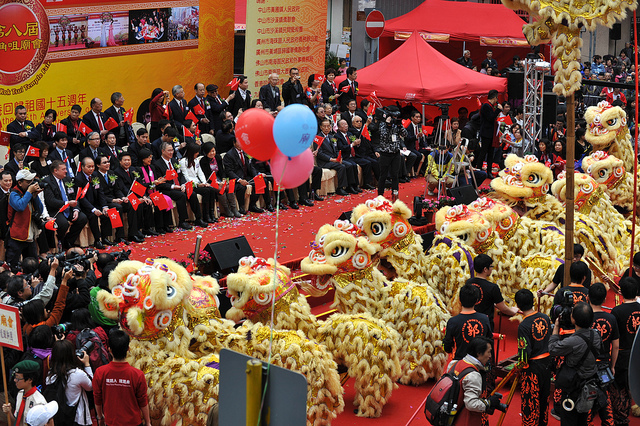 When is the Tai Kok Tsui Temple Fair 2019? 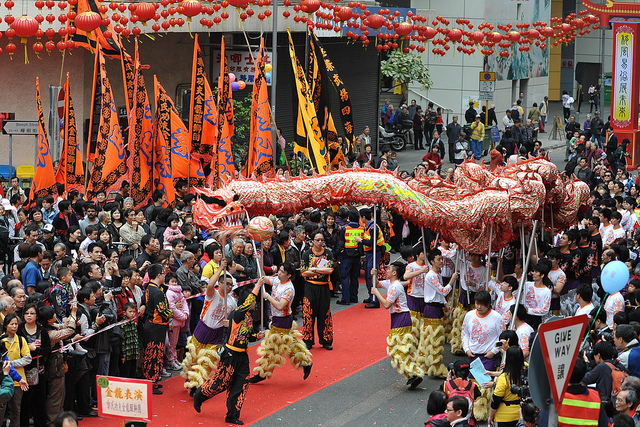 This year's celebrations will be on Sunday March 3rd, 2019 from approximately 10:00 am to 9:30 pm. 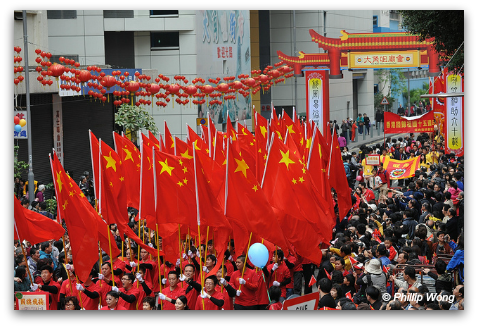 How to get to the Celebrations? 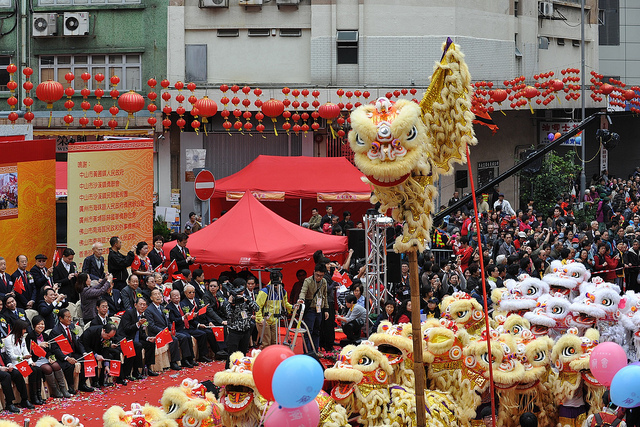 The Tak Kok Tsui Temple is located on Fuk Tsun Street on the western side of Mong Kok. 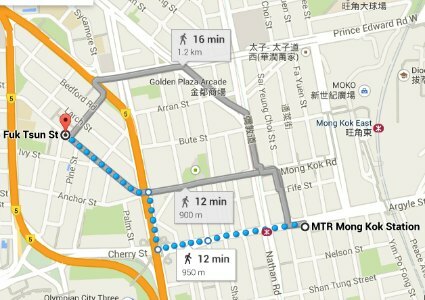 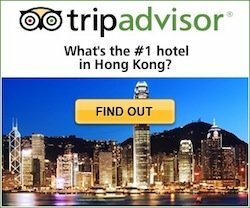 It's a short 10-15 minute walk from the Mong Kok MTR station.